A day trip to the picturesque town of Altea, famous for its blue and white tiled roofs and many art galleries and studios. See a different landscape on the way there and enjoy a day of walking along narrow, winding streets, looking out over the sea from a village up in the mountains and finish it all off with a coffee or drink in one of the many bars and restaurants at the small port. An absolute must on the list of the five best day trips. 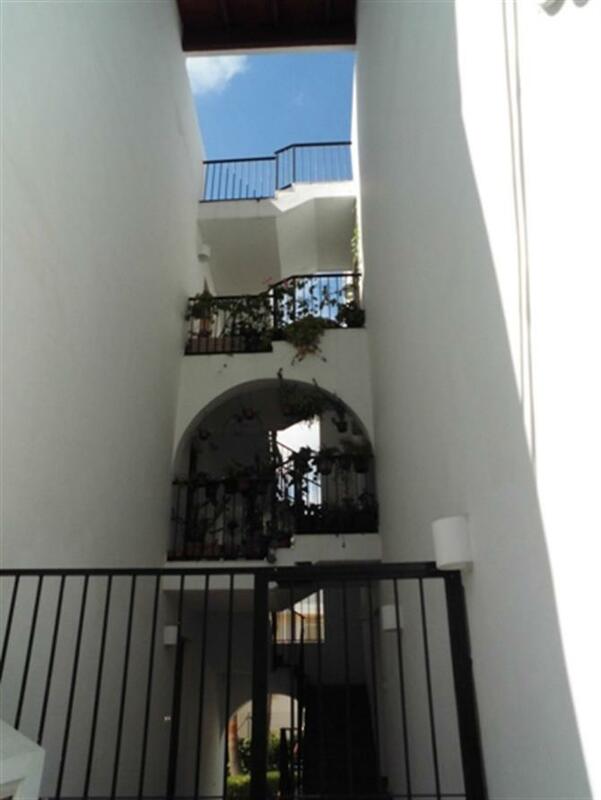 Located just about 15km north of Benidorm, Altea is a very different kind of holiday resort. Divided into an old and a newer part, and separated from the harbour by the somewhat unfortunate run of the N-332, it´s nonetheless a haven of peace and quiet. Altea is the seat of the Faculty of Fine Arts of the University of Elche and it’s art in all its forms which dominates the atmosphere of this charming town. 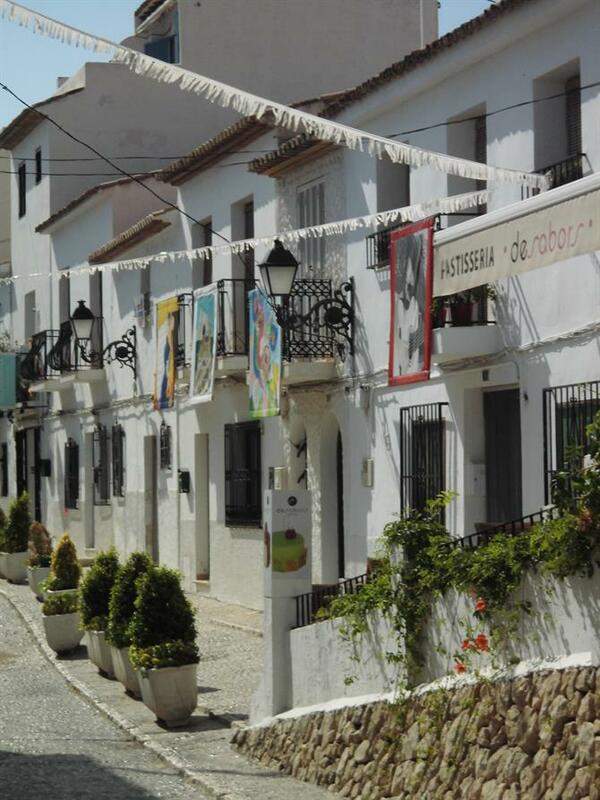 Be it music, literature, sculpture or painting, you can´t take a few steps in Altea´s old part without running into an art gallery, a bookshop or see paintings hanging from the balconies of houses and tiny squares. Eye catching and a landmark of Altea, are the brilliant blue and white glazed tiles which cover the cupola of the Church Nuestra Senora del Consuleo. Narrow streets, bordered by well kept houses lead in all directions, often ending in platforms from which you can either see the Mediterranean as far as the peon of Calpe, or the peeks of the Sierre de Bernia in the background. The bay of Altea, down below has several beaches and, of course, the crescent shaped harbour, mooring place for plenty of yachts of all sizes and a lovely place to visit one of the restaurants to sample the typical rice dishes of the area. The newer part of town which lies at a lower level than the old one, is reached by steps and has many of the shops you will find in other places too. An exception is a small chocolate confectionary, the speciality of which are dark chocolates made with olive oil and filled with olive paste and another which is topped by a few crystals of coarse sea salt, a very savoury combination. Walk around and enjoy the different scenic views. Climb up and down the steps connecting the streets and peer into courtyards filled with flowers. 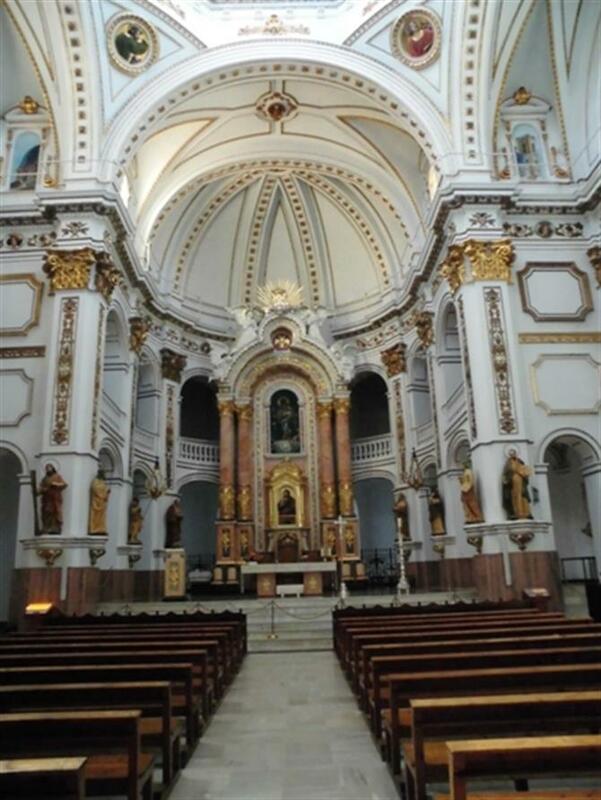 Visit the church, the interior of which has a beautiful baroque altar and glass cupola. If you are looking for gifts or need some decoration for your own home, you have come to the right place. 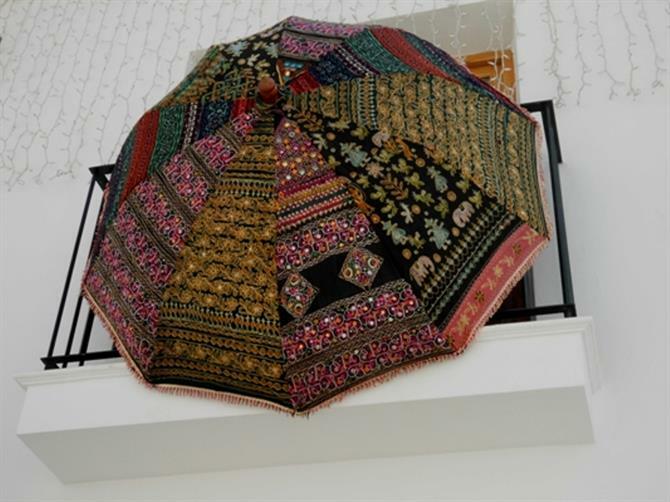 You will find handmade candles, sculptures of all sizes, paintings and any other kind of decorative objects, from hand painted umbrellas to bags and scarves. Rest your feet and enjoy a coffee, drink or meal in the shade of tree bordered cafes in the old town or down at the port. A day trip to Altea from Torrevieja is one which lends itself to two different ways of getting there. One is by car, taking the AP-7or N-332 to Benidorm and from there north following the road signs to Altea, climbing steadily higher. Another way is to take a Costa Azul bus from Torrevieja to Alicante or else drive to Alicante. From there take the local train, also called TRAM and marked with a T in a red circle. Head to RENFE, then turn right into Avenida de la Estacion until you come to Plaza de los Luceros which is also the terminal for T. Catch L1 to Benidorm, then change to L9 which heads for Denia. The train ride along the coast is delightful. You´ll see the fabulous beach of El Campello and the theme park Terra Mitica near Benidorm. Do not alight at the stop Altea, which will leave you in the new part of town and requires quite a long hike to reach the Town Hall and the old part, but get off at the next stop, Garganes and you are right in the middle of things. Connections at Benidorm tend to be good and fast and the entire journey takes about 1 1/2 hours. The return ticket costs €6.50 pp and you´ll get a time table at the Luceros terminal to plan your return journey. If you choose the bus/train combination, bear in mind that the last bus from Alicante to Torrevieja leaves at 8pm, which is quite early. Miss it, and it´s a taxi at approx. € 45 as opposed to the bus fare of € 4.50. If you set off from Torrevieja early enough, you have ample time for a leisurely day out in Altea without worries about where to leave your car or getting lost at the many roundabouts.